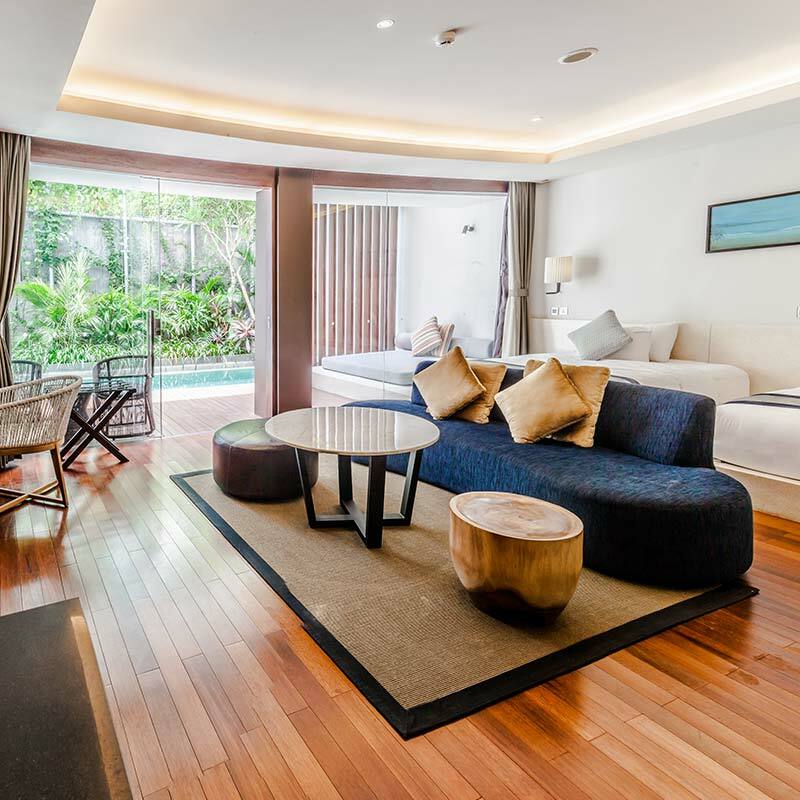 Spacious and luxurious room decorated in authentic Japanese architecture with rustic wooden floors, stunning wood interior color and plunge pool. 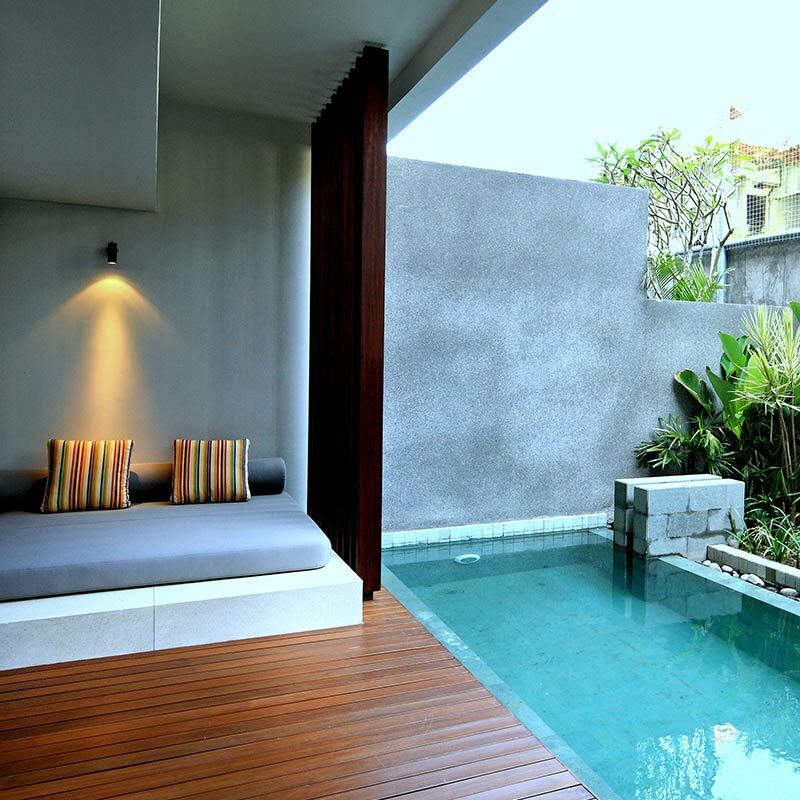 Take a pleasure and enjoy the outdoor terrace with garden and fresh air while relaxing at the plunge pool. 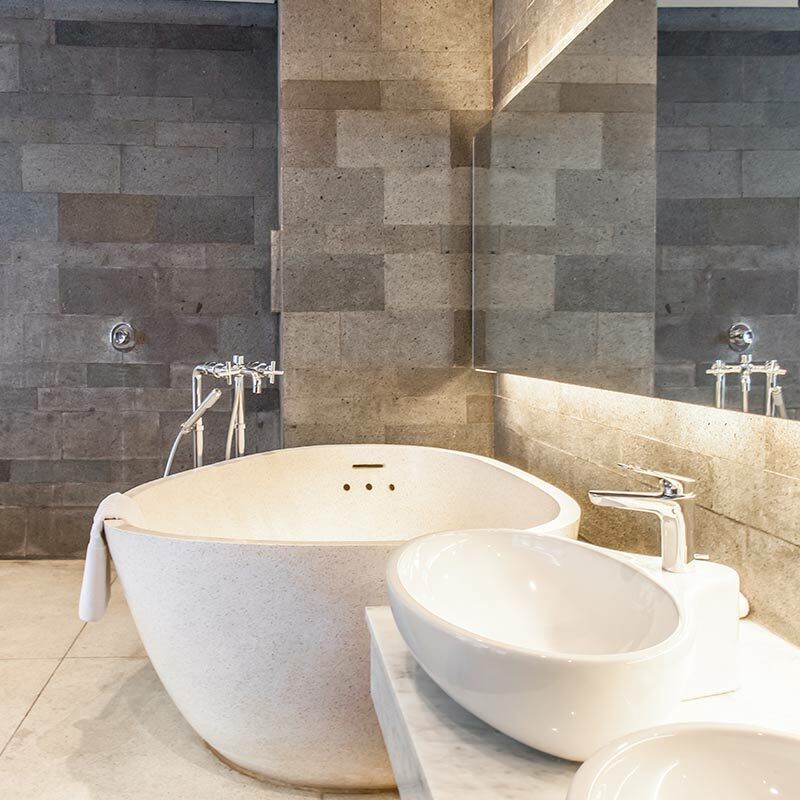 The en-suite bathroom with full assortment of amenities and enjoy the exclusive benefits at Suite Lounge. 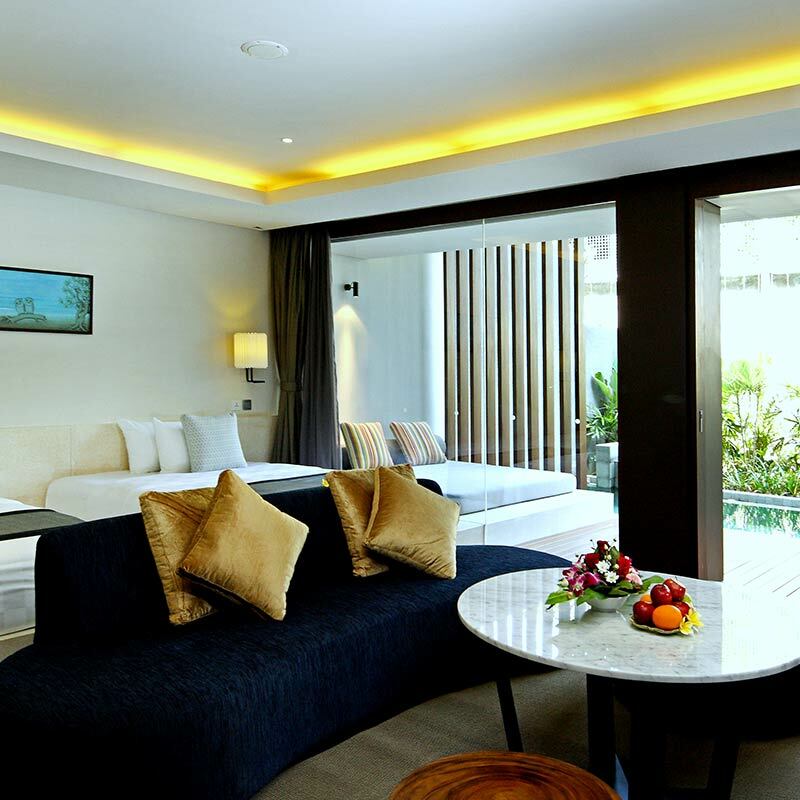 This room will be the right choice for honeymooners, families and guests who are looking for comfort and harmony. Unwind in the cushioned sofa, relax with a cup of hot coffee on the coffee table, watch some movies in the 50″ flat screen TV with wide range of international channels, and stay connected with our high speed internet access. 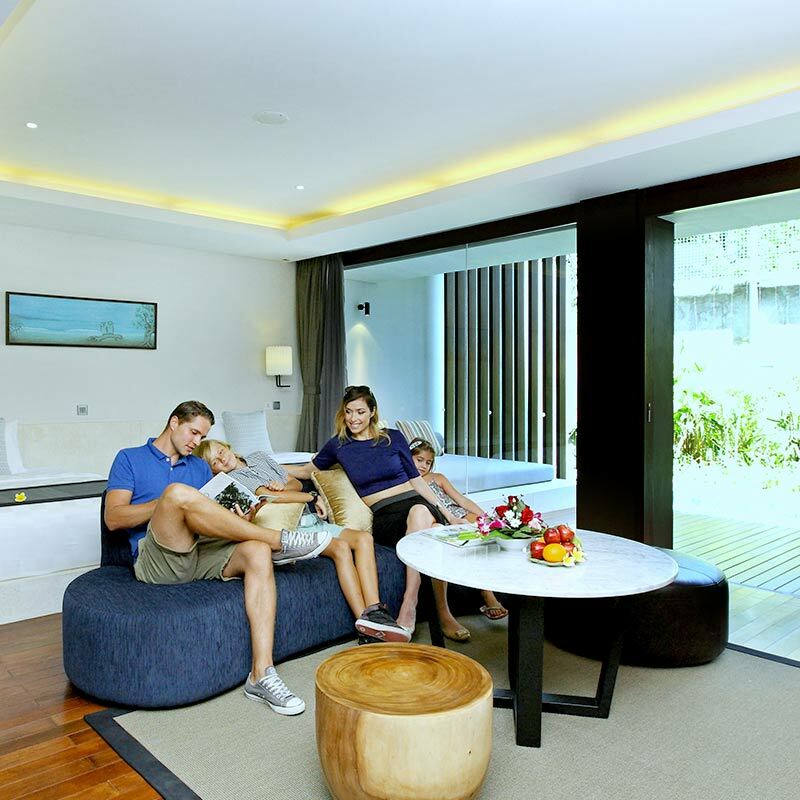 Complimentary six pieces of Laundry per stay, Complimentary Suite Lounge access at 11.00-22.00, we provide varieties of traditional salty, sweet and crunchy snacks with non-alcohol beverages such as tea, coffee and infused water during opening hours.